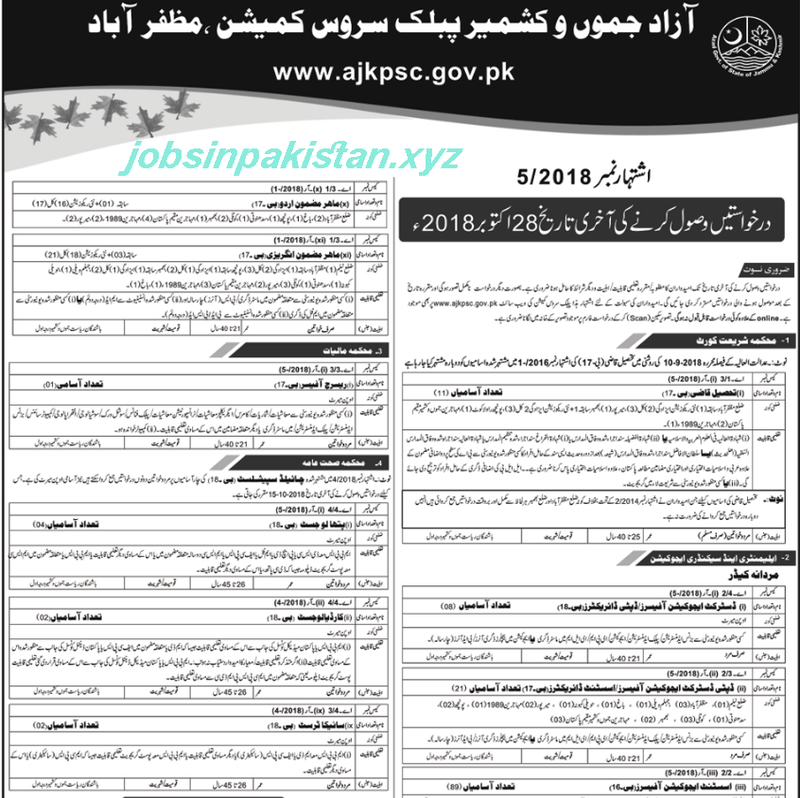 The AJKPSC Advertisement 05/2018 for AJKPSC Jobs 2018 has come on newspaper of 10 October 2018. The last date for submitting of application form for AJKPSC Jobs 2018 is 28 October 2018. Application forms are available on AJKPSC official website. Scan copies of original documents required for submitting of application forms in Azad Jammu and Kashmir official website. 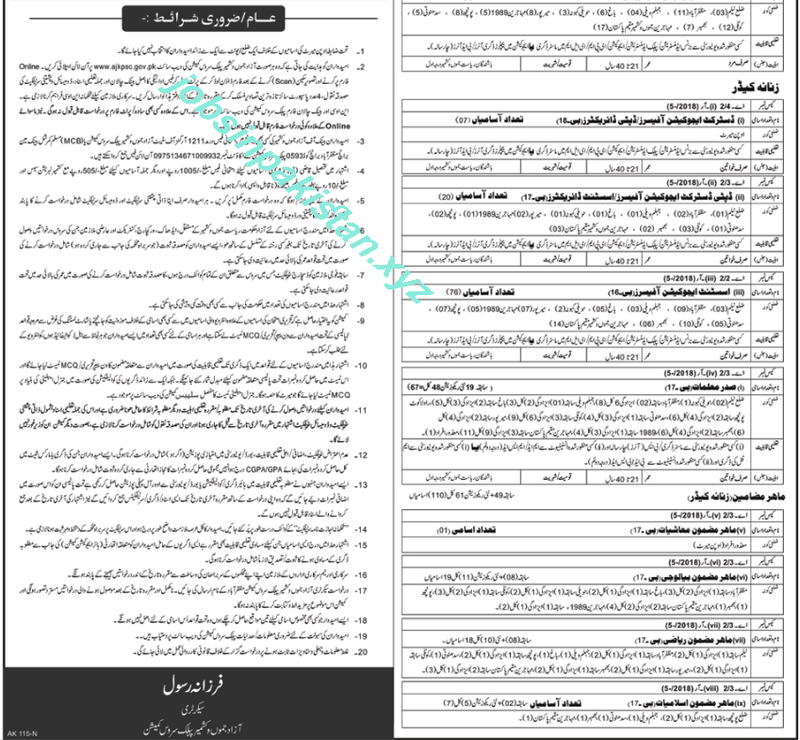 After last date, application forms will not be accepted for Azad Jammu and Kashmir Public Service Commission Jobs 2018.